Shaw is, without a doubt, the largest, the most innovative and diverse flooring company today. To prove that point, Shaw Hardwood is a line made up of not just solid hardwoods, but great engineered floors too. And with the introduction of ScufResist Platinum in the EPIC line; Shaw has a hardwood flooring finish that has great looks but holds up 6x better than its competition. And, of course since this is a Shaw product you don’t have to worry about the quality. But life happens and Shaw Hardwood with the EPIC® Scufresist protection have a Lifetime Limited Wear Warranty. Shaw says, “go ahead and live on your hardwood floors”. 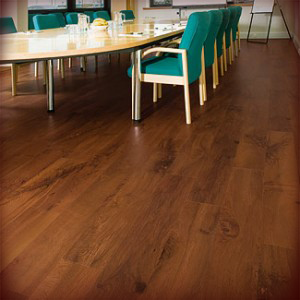 Shaw Hardwood Epicplus with Scrufresist is up to 6 times more durable than imported floors. 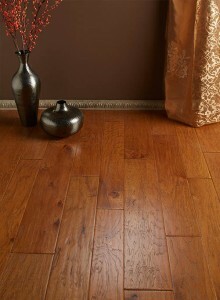 Shaw Hardwood with Stabilitek Core is built for high performance and lasting durability. 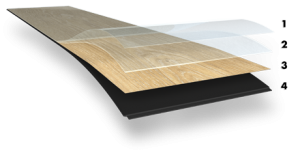 Constructed from wood fibers bonded with proprietary chemistry, Stabilitek holds up to the challenges of climate fluctuation and sub floor moisture. EPIC® Plus features a strong tongue and groove system that ensures quick, easy, installation and provides superior joint integrity. 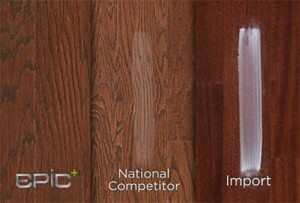 And, as an added plus EPIC® Plus hardwood built with Stabilitek resists dents 15% more than imported products. You may want to consult with the flooring experts at American Carpet Wholesalers of Georgia about the different types of Shaw hardwood. Let them help to determine if any additional considerations should be made during your selection process to make the perfect choice. Shaw hardwood is a fantastic flooring option for almost any room in your home, but there are things you need to know. Make sure you select the right type of Shaw hardwood for the right room. Something to consider is the type of sub-floor currently down in the room in where you want to install your hardwood flooring. Above-ground rooms with a plywood or OSB subfloor can typically utilize both solid, engineered and the EPIC® Plus engineered hardwoods. However, rooms below ground level typically have a concrete sub-floor and require an engineered hardwood. Shaw hardwood flooring with Stabilitek is constructed to be installed over most surfaces. Shaw Hardwoods has so much to offer it would take an expert to get through all the choices available to you. Luckily American Carpet Wholesalers has the flooring experts to help. Give them a call at 800-548-2706 to get the best flooring advice and the best pricing available with discount prices on Shaw Hardwood Floors everyday!